Your cat has diabetes. The excess thirst and hunger and urination all make sense now. Whether it’s a new diagnosis or an old one, you’re probably wondering: Which glucometer is best for my cat? Which will get the best results? How do I choose? While some people use human blood glucose meters for their pets, this is unwise. Cats and humans are not the same and meters give inaccurate readings for cats because they underestimate the glucose concentration. 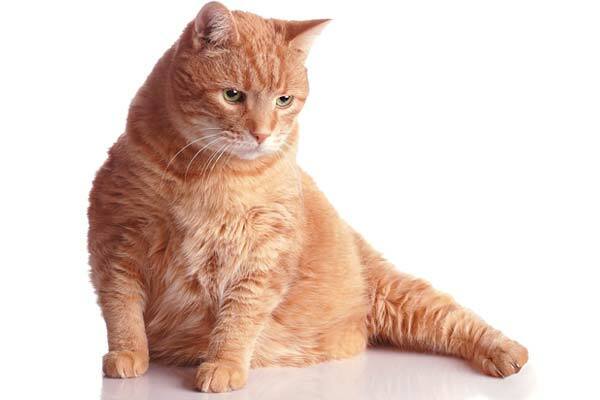 This prevents your cat from getting the correct insulin dosage, which can lead to more frequent vet trips or more serious problems, according to the US National Library of Medicine study, authored by Kelly F. Ethun. The following are some pet glucometers available on Amazon, including the top-rated options. They can each be specifically calibrated for cats. You can easily narrow down your options and make a decision about what’s best for you. What Makes the VetMate Blood Glucose Monitoring System the Best Option? The VetMate glucometer was top-rated in a study published in Veterinary Quarterly in 2014. Per the study, the VetMate glucometer tested blood glucose in dogs and cats the most accurately out of the four blood glucose kits tested. It is specifically formulated to work with cats or dogs and, if you have multiple pets with diabetes, it can be used for up to four of each animal. This product makes it easy, effective and accurate. It also has something unique in the world of cat glucometers: an alert for hypoglycemia. This is important because this 2010 research study by Dr. Audrey K. Cook at US National Library of Medicine, indicated that in cats and dogs, hyperglycemia (high blood glucose) can be sustained longer than in humans without the side effects, but excessively low blood glucose can be fatal. To learn more about this model or to purchase it, go here. What Makes the PetTest Glucose Monitoring System a Worthwhile Purchase? The first of its kind by Advocate, the PetTest system is highly rated and is one of the best on the market in 2019. It requires a simple push of a button to switch from cat use to dog use and it only requires a small blood sample. It also confirms the species of the animal being tested with a picture, making it very user-friendly. Plus, it only takes five seconds for the results to come in. 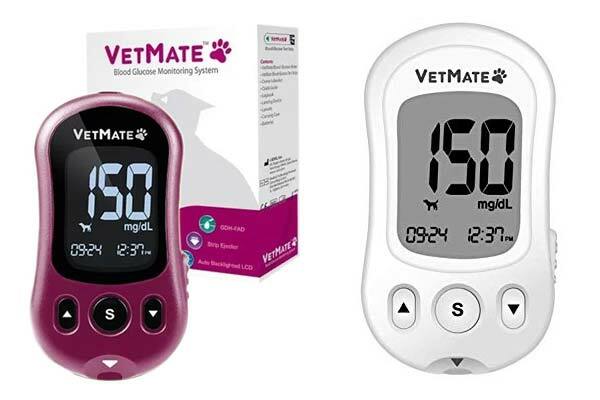 Like the VetMate, the PetTest allows you to set a timer so you know exactly when you need to test your cat’s glucose next. The product is simple, easy to use and easy to transport, so you never have to worry about being without it. 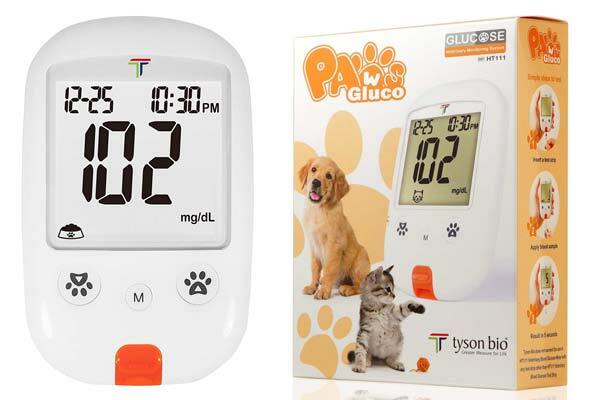 To learn more about the PetTest glucose monitoring system, or to buy it, visit this page. 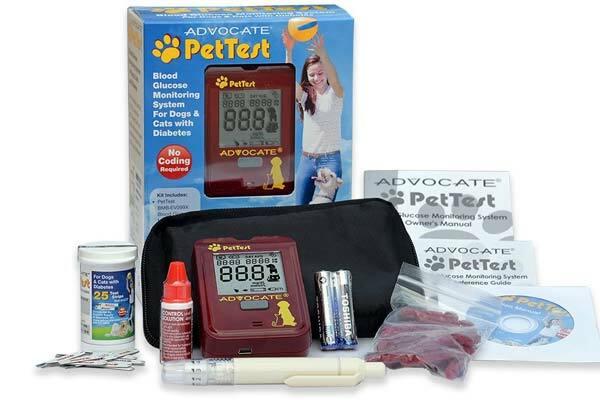 What Makes the Pet Control HQ Veterinary Blood Glucose Monitor Meter Starter Kit Stand Out? Considered quick and easy to use, the Pet Control HQ meter just requires a simple button push to review the results. It includes a logbook so you can record results and it can be calibrated easily for your kitty. The meter only requires a small blood sample and you can take it from the pad of the cat’s foot, the ear, a callous or the lip. To learn more about this meter or to purchase it, visit this page. Why is the AlphaTRAK 2 Glucometer Unique? 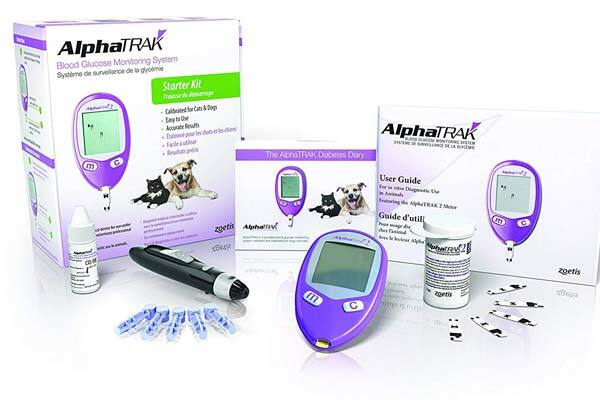 The AlphaTRAK is one of the highest-rated glucometers on the market. It was also one of the first hand-held glucose monitoring devices. In a 2015 article on PetPlace, Dr. Debra Primovic said that it is one of the most accurate and highly-recommended options on the market. However, this particular model requires that you code the meter with each new set of test strips. The included manual includes a reference guide so you can understand the various codes that come with it and accurately record them. It also includes an electronic log of the last 250 results. This model requires less blood than others to get an accurate reading. The same study that found the VetMate to be the most accurate home glucose monitor, indicated that this one is 92% accurate for felines. What are the pros of the AlphaTRAK? Why Consider the EverPaw Gluco HT111? The EverPaw glucometer can be coded by you for a dog or a cat. It’s easy to use and has a large screen. It is possible to set up to four alarms per day. It’s on the lower end of models, so even though it costs less than other models, the results are less accurate. To see if this glucometer is the right one for you, visit this page. Whichever model you choose, make sure it’s one that you’re comfortable using. Save up for a better model if it’s not immediately in your budget. Like with many things, in this case, you get what you’re paying for. Don’t forget the cost of additional lancets and test strips as you decide what’s right for you. How do You Test Your Cat’s Glucose Levels? Learning how to test your cat’s blood glucose is going to require a bit of a learning curve. It’s wise to compare the results to a veterinary device as you get started. Some recommend three tests before you begin testing at home, and then checking the results every week, to begin with. 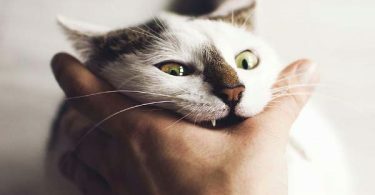 When you get your cat’s glucose, you’ll have to start by warming the dog’s ear or paw, wherever you plan to draw the blood. Don’t forget to love on your cat a bit before and afterward! Nobody likes needles: not even your friendly feline. 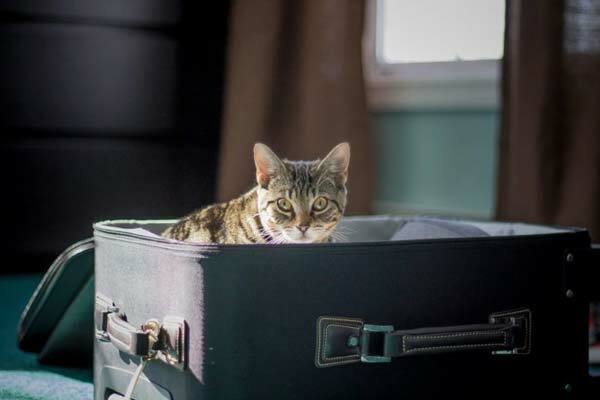 Don’t expect your cat to love the experience, especially at first. Some studies indicate that it’s wise to vary the place you draw the blood, so it’s not always the ears or the lips or the paws. Find a place that works for both of you. If the ear works and your cat hates when you touch the paw pads, don’t do it. This YouTube video by the American Animal Hospital Association shows you exactly how to check your cat’s blood glucose levels most effectively. The best time to monitor them is generally in the mornings and evenings, but meals can also affect readings, so check with your vet! Your feline companion deserves the best for a full, happy life. And you deserve to know you did well by your beloved pet. Select a glucometer that is calibrated for cats and test your cat’s glucose regularly and actively. Make sure you find the best diet for your kitty so you can manage health at home on every front.